I made several Believe projects for our convention in July - I forgot I hadn't shared them with you here! This is one of my favorites - especially because I LOVE coffee and cookies! 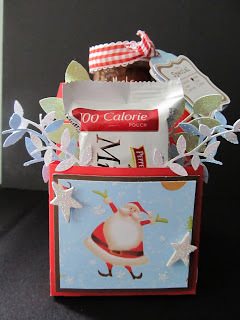 I used our Art Philosophy Cricut Cartridge for this little goodie - I turned the Door Hanger package into a drink hanger! I enlarged the hole to fit over the Starbucks Frappuccino. I used one of the stamps that is included in the AP Cricut Collection to create a tag. The stamp has a coordinating shape on the Cricut Cartridge. 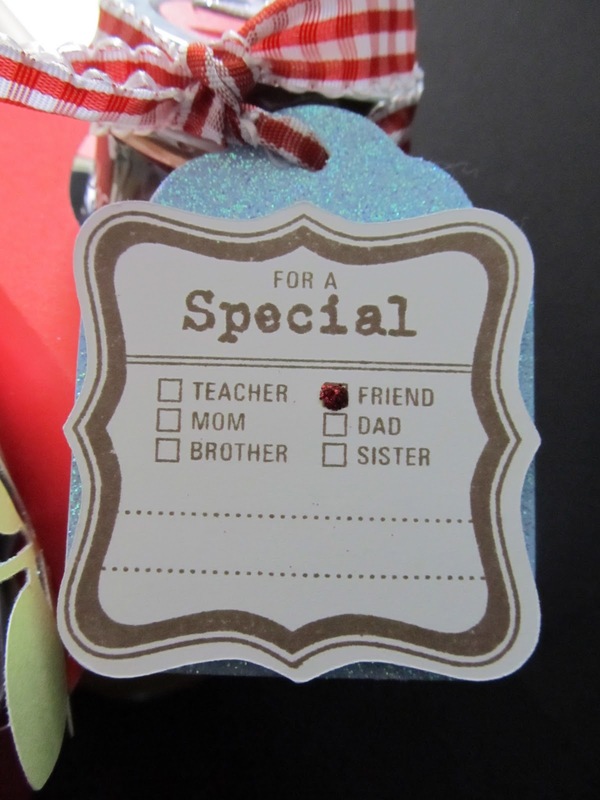 I stamped in chocolate and added a dot of our Red Glitz Glitter Gel to mark the "friend". I also used one of the chipboard shapes included with the Cricut Collection which also has a coordinating Cricut shape. 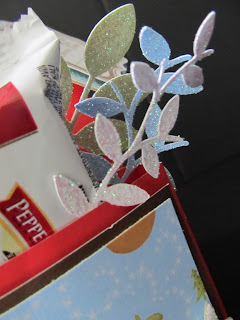 I added Sky cardstock covered with Prisma Glitter for festive sparkle! 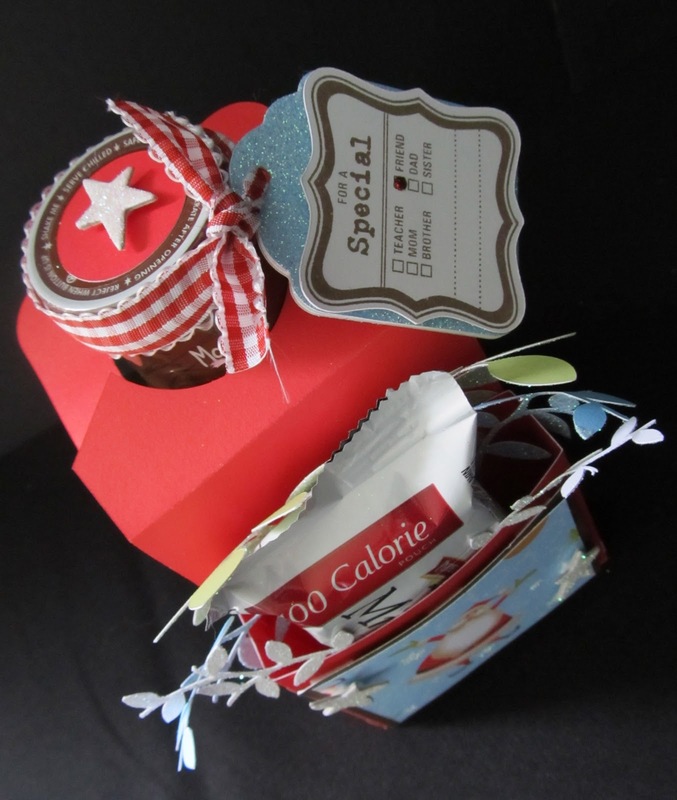 And tied it onto the bottle with some of our ribbon from our Red Ribbon Collection. In the pocket, I put some Pepperidge Farm cookies along with some "filler" made with different branches and various sizes (from the AP cartridge) using Sweet Leaf, Sky, and White Daisy cardstock covered in Prisma Glitter! Add a couple of Dimensional Elements stars also covered with Prisma Glitter and my gift is ready to leave on the desk of a co-worker - or even to leave for Santa!